Therese Jonch and Vladimir Rodriguez of Programme for Belize (PfB) had a warm welcome from staff and representatives of World Land (WLT) in August. At WLT’s invitation, Therese and Vladimir joined the WLT stand at Birdfair in Rutland Water, where they successfully promoted PfB’s birdwatching holidays. 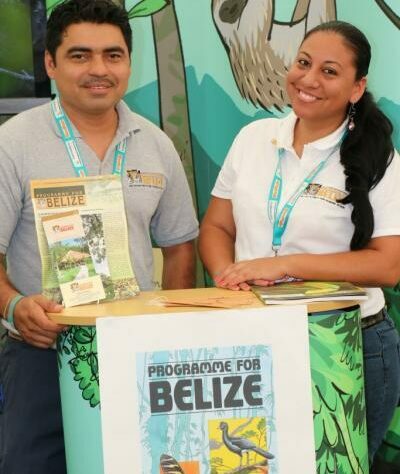 “We made so many contacts at Birdfair, and found it so useful that we are hoping to come again next year!” said Therese who heads up PfB’s ecotourism programme. “It is always a pleasure to host visits from our partner organisations. This is especially the case with Programme for Belize, because our relationship dates back more than 25 years, and I am delighted to see how successfully PfB has evolved and developed,” said John Burton, WLT’s Chief Executive. After Birdfair the pair spent a few days in Halesworth. They gave a fascinating presentation to staff about conservation challenges in the Rio Bravo Conservation Management Area where PfB protects 254,000 acres (more than 100,000 hectares). Manager of Hillbank Field Station, Vladimir described measures to protect the Yellow-headed Parrot (Amazona oratrix belicensis) from poachers. He emphasised the role of rangers in deterring illegal loggers and he stressed the importance of rapid reaction in the case of forest fires. During their visit to the UK, Therese and Vladimir visited RSPB Minsmere in Suffolk, and Abberton Reservoir and Abbotts Hall Farm in Essex. 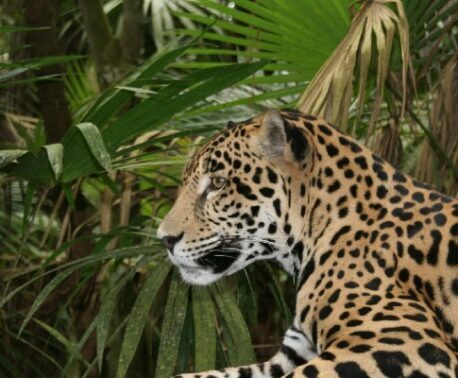 In 1989 WLT launched its first fundraising campaign to save rainforest at risk of destruction in Belize. PfB evolved out of WLT’s first conservation success. WLT is currently supporting PfB’s conservation programme through the Keepers of the Wild programme.